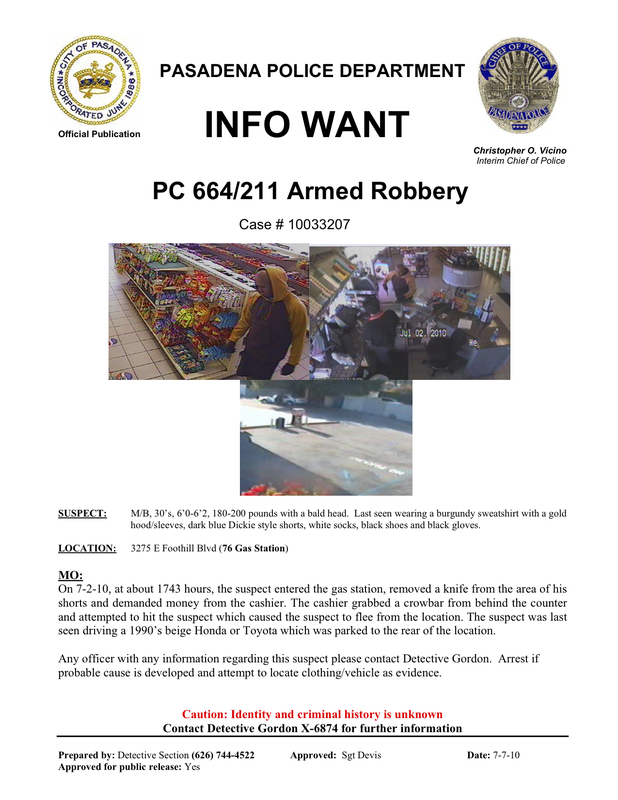 Posted by David S. in Incidents, Law Enforcement, Robberies. 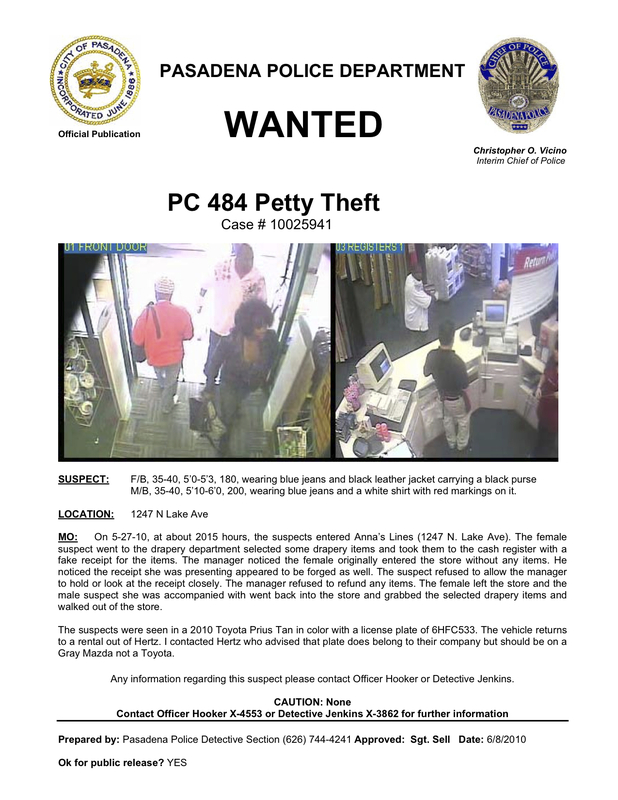 Advisory Message has been issued by the Pasadena Police Department – CA. 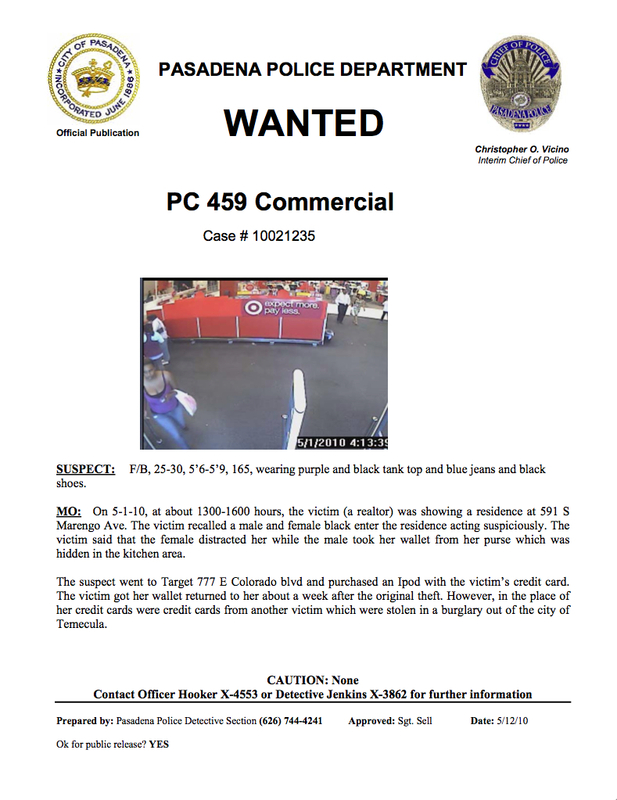 PASADENA, CA – On May 27th, Pasadena police responded to a call of a woman being assaulted by a male in a parking garage in the 200 block of South Lake Avenue. The assault was interrupted by a security guard and good Samaritans who initially detained the suspect, however the suspect was able to flee before police could arrived. 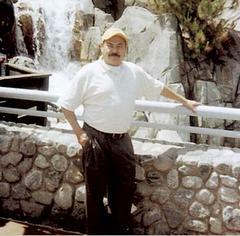 Police are looking for Jose Castillo, 53 of Pasadena. 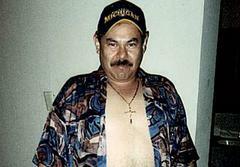 He is described as Hispanic, 5’ 6”, 186 with brown hair and brown eyes. He may be driving a green 1991 Honda Accord, license number “2WYN621”. The investigation has revealed that Castillo attacked his former girlfriend from behind then dragged her to a subterranean parking lot where he attempted to force her into his car. Witnesses intervened and called the police. “They struggled to detain him, but he fought and broke free,” says Interim Chief of Police Christopher Vicino. “Without their intervention there may have been a very different outcome for this victim. This was a violent attack and it important that we find Castillo and get him off the street.” Castillo knows he is wanted by the police. 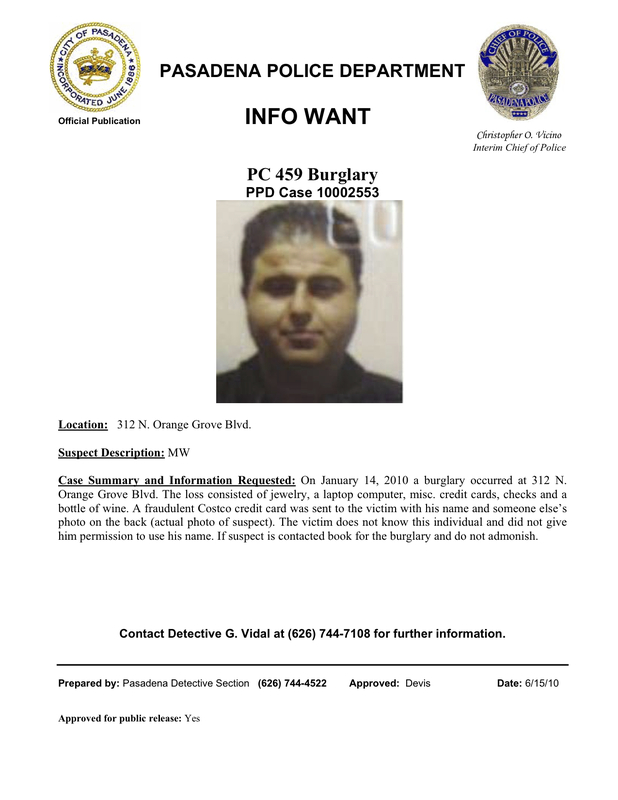 Anyone with any information regarding his whereabouts is asked to contact the Pasadena Police Department at (626) 744-4241 or Detective Sandeen at (626) 744-7099. Posted by David S. in In the News, Incidents, Law Enforcement. Seems some person(s) unknown are stealing the light poles on Orange Grove Blvd. in South Pasadena. 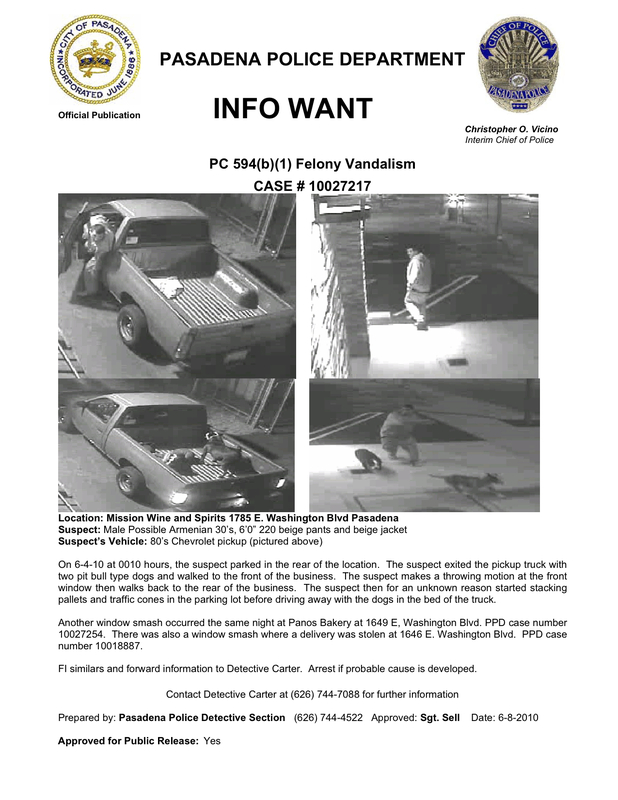 PASADENA, CA – On April 9, 2010, shortly before 11:00 p.m., officers responded to the area of Wilson Ave. and Del Mar Blvd. to investigate a report that a suspect armed with a knife attempted to force the female victim into an isolated area away from view. The 22 year old female, Pasadena resident, was walking westbound on Del Mar Blvd. between Michigan Ave. and Wilson Ave. when she observed the suspect walking behind her. The victim ran when she heard the suspect running toward her, but was unable to outrun the suspect. The suspect grabbed her and brandished a knife as he pushed her toward a nearby alcove. The victim yelled for help to a person who was standing nearby on the sidewalk. The suspect released the victim and ran from the area. Officers searched the area, but did not locate the suspect. 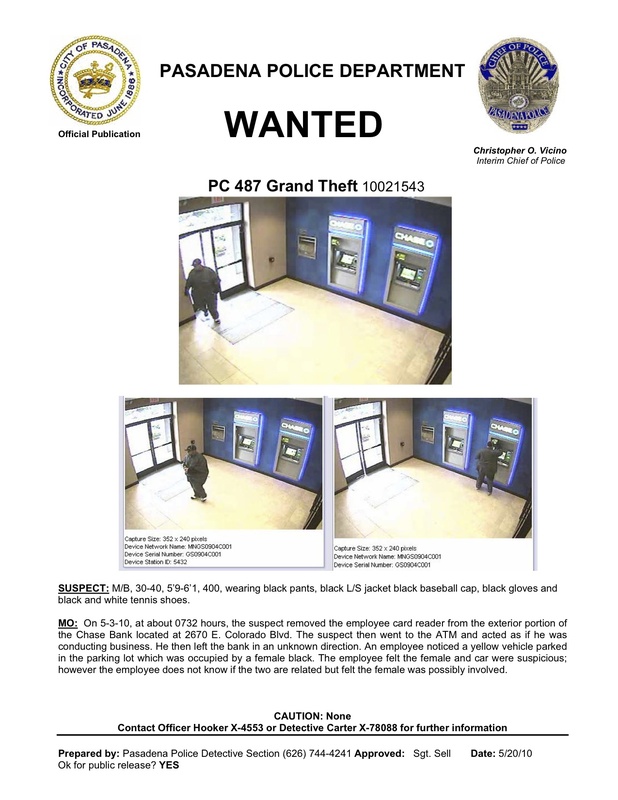 The suspect was described as a male Hispanic, 30 years old, 5’6”, 180 lbs, black hair; wearing a blue shirt, white ball cap with vertical blue stripes and blue jeans. This was an isolated incident occurring during the late evening hours. The Pasadena Police Department encourages personal safety practices and advocates always being aware of situations where victimization can occur. Be aware of surroundings and when possible, enjoy walks during daylight or with a friend during the evenings. 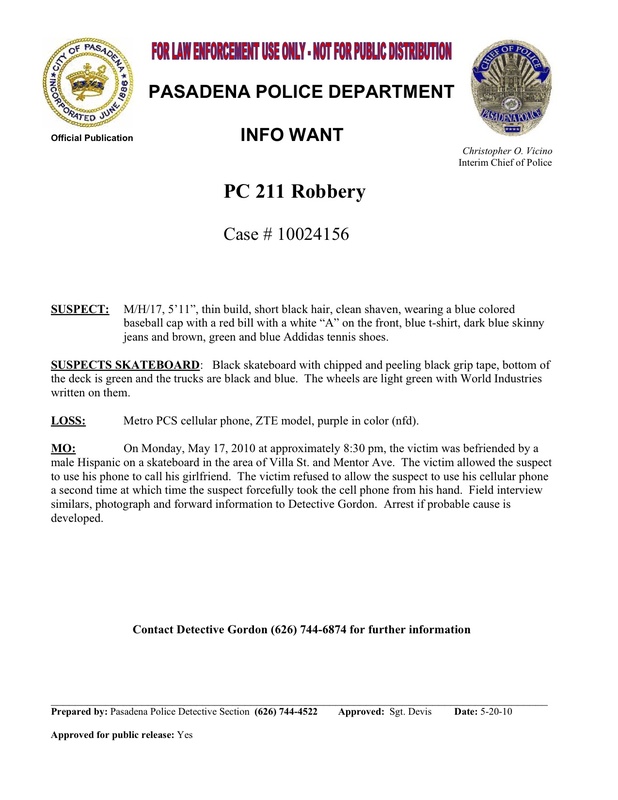 Please call the Pasadena Police Department at (626)744-4241 if you have information about this incident or to report suspicious person or activity. Posted by David S. in Helpful Hints, Incidents. Please read a neighbor’s email below regarding individuals who rummage through recycling bins. It is best to shred or destroy all your personal data before discarding/recycling it.Many times these individuals-like our neighbor mentions below- are looking for bank account, social security and credit card numbers. Do be careful with what you discard, and report anyone you see engaging in this behavior to the police by calling the non-emergency number (626) 744-4241. Reported to PPD non-emergency dispatcher a male Hispanic, about 5’ 6”, walking southbound on Arroyo Blvd in 100 block stealing recycling out of the bins on the street at 11:45. Concern for me is not the garbage per se but any potential identity theft materials; he is ripping open garbage bags and rifling through the contents.